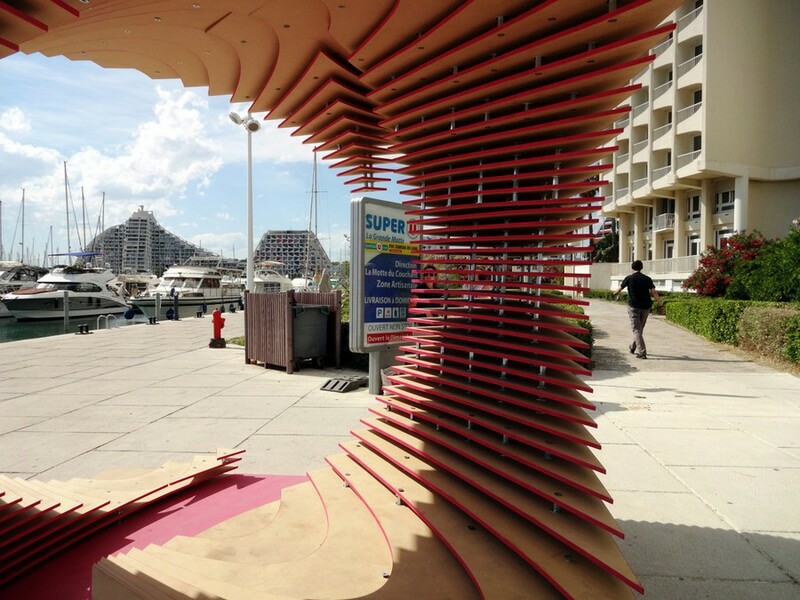 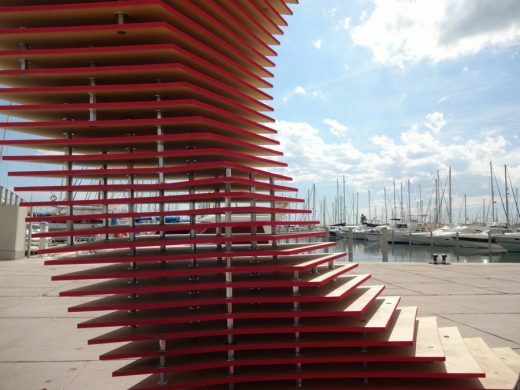 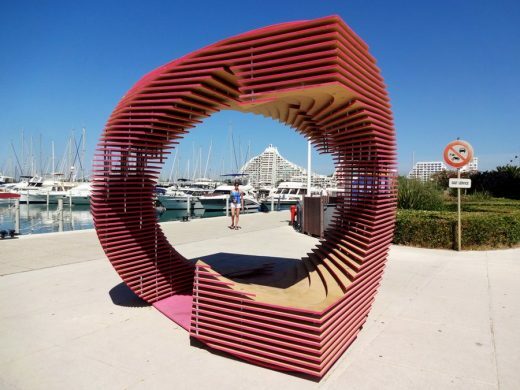 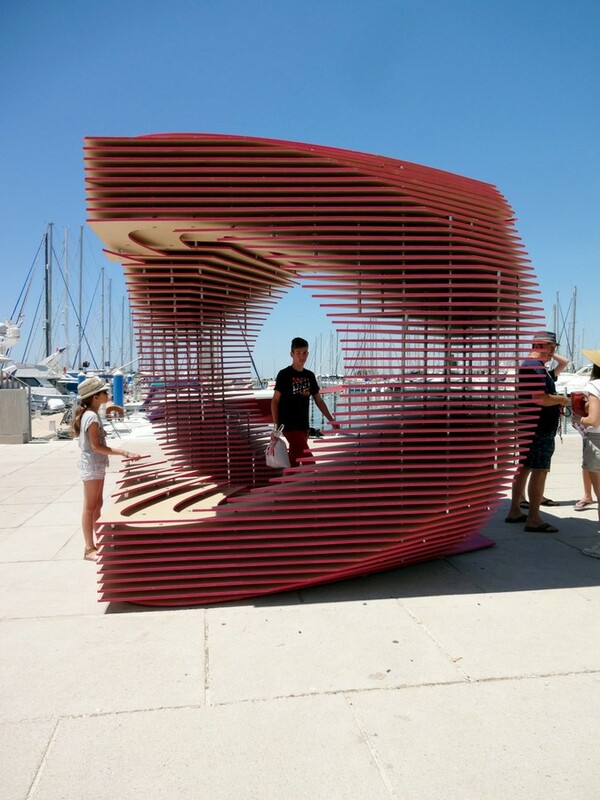 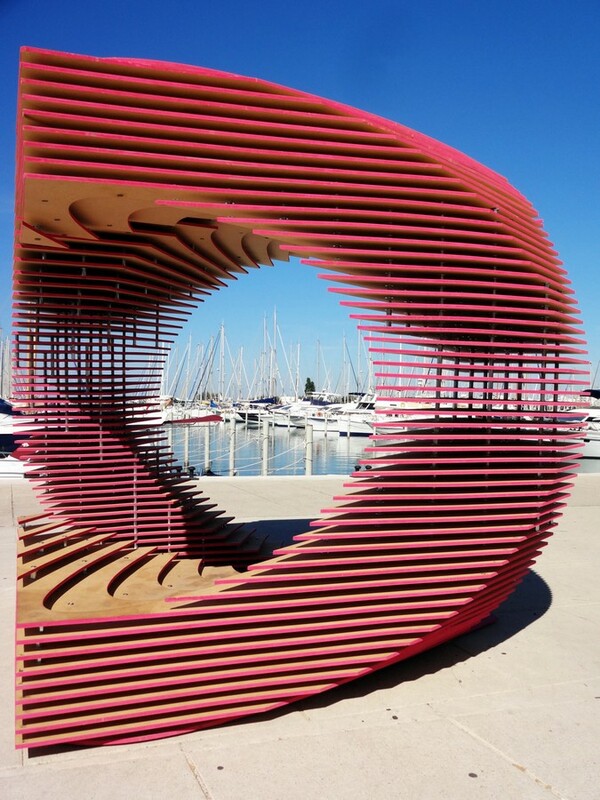 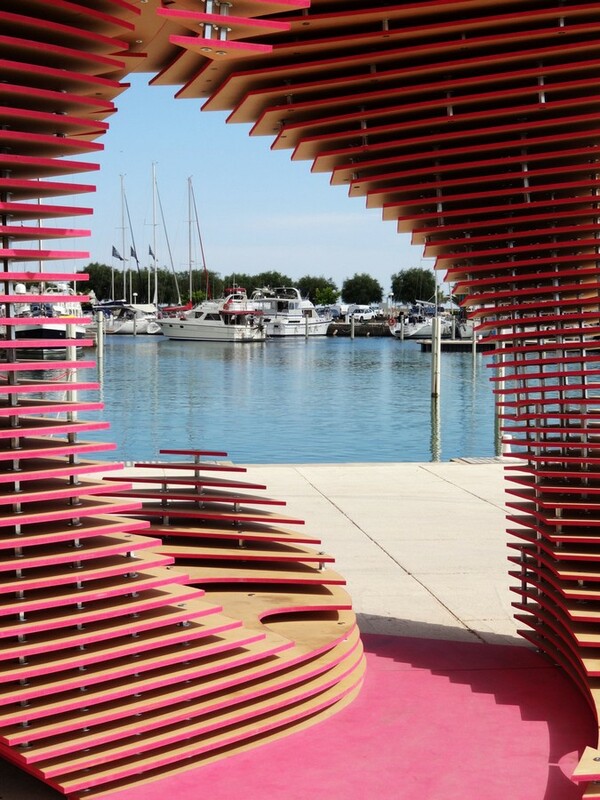 French Wooden Folly in France: Architectural Seafront Installation – design by TOMA! 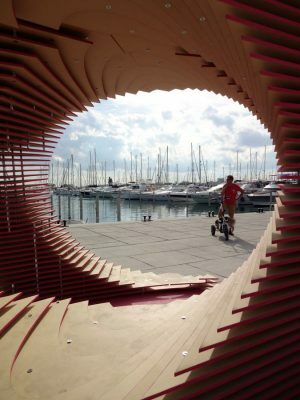 The PortHole pavilion is an experimental architecture, designed by Antonio Nardozzi & María Dolores del Sol Ontalba [TOMA!] for the tenth edition of the FAV at La Grande-Motte. 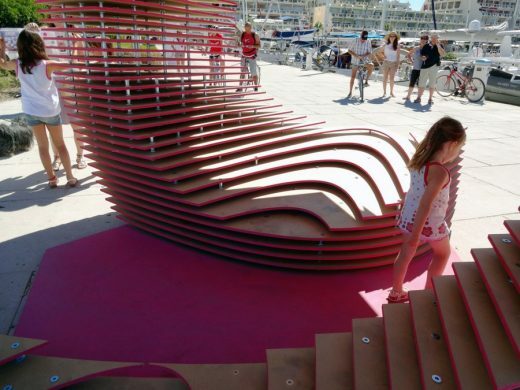 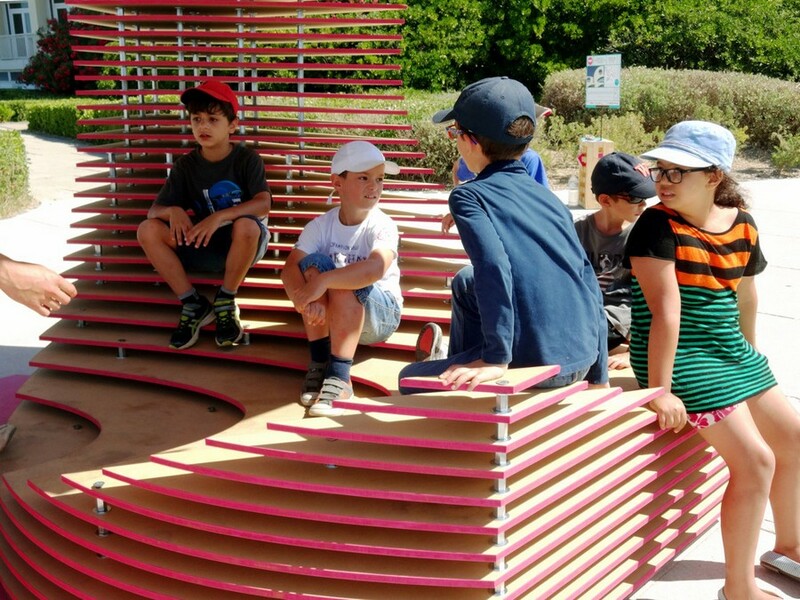 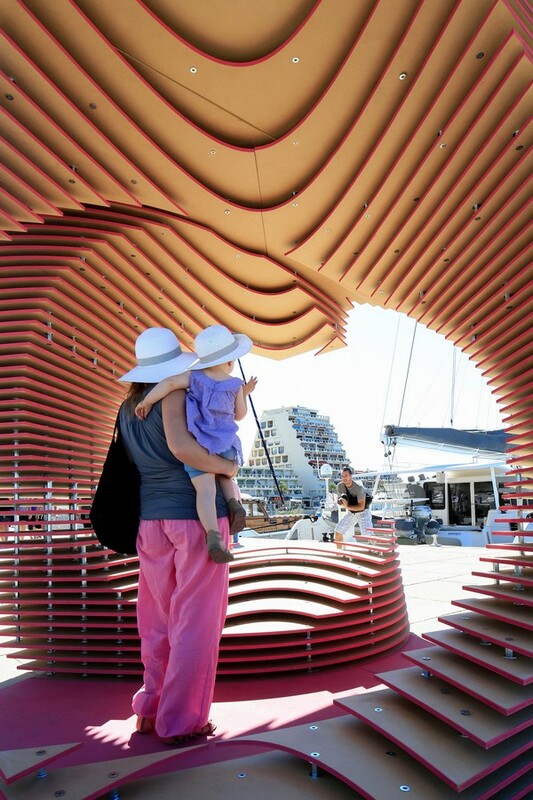 The experimental factor of this pavilion is the way the perspective-localized technique is performed: the whole habitable sculpture becomes a flat sign, a virtual porthole on the seafront of La Grande-Motte. 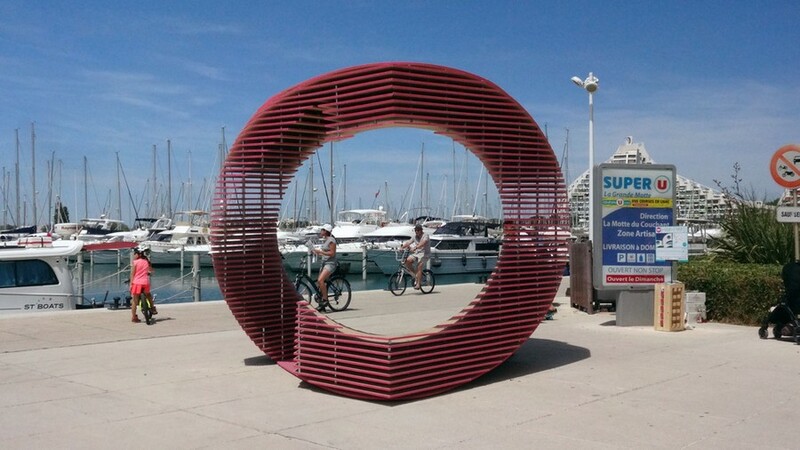 Continually evolving, the installation changes its own features with respect to the points of view up to flatten, creating, thanks to its anamorphic nature, a perfect circle. The anamorphic pattern has been designed by creating ad hoc optical and mathematical processes which, starting from a cube, enable to recreate the pure geometry of the circle – A circling the square exercise! 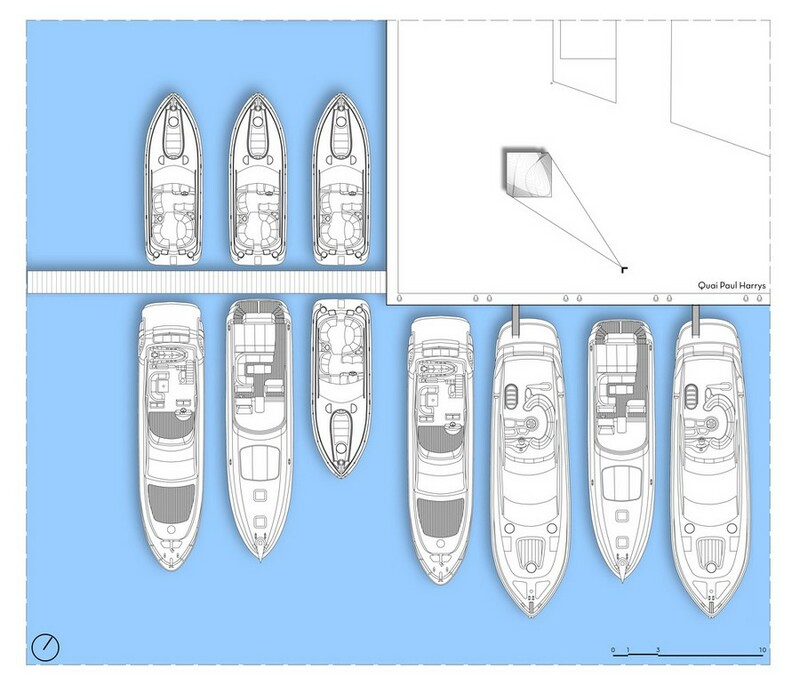 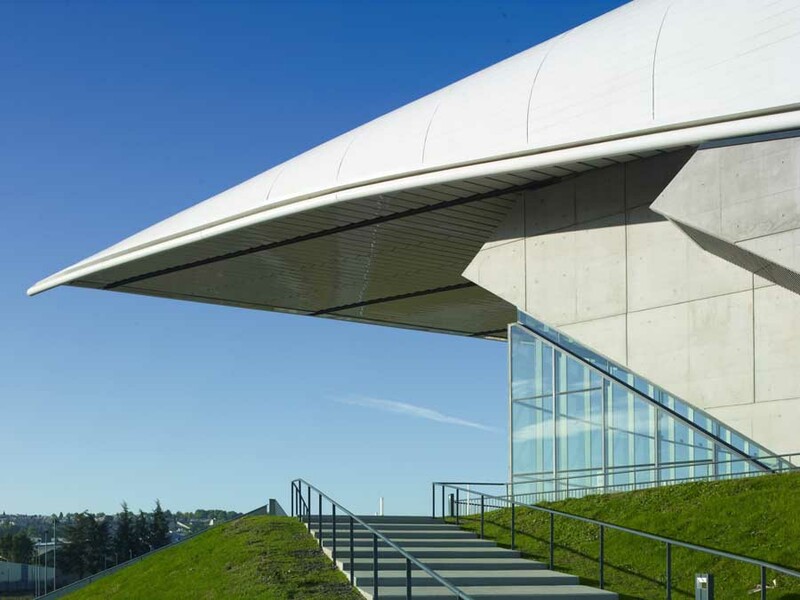 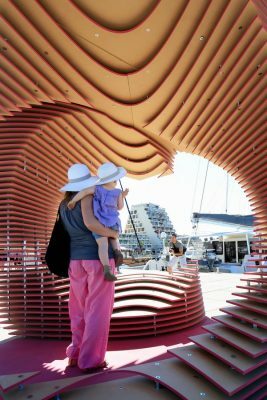 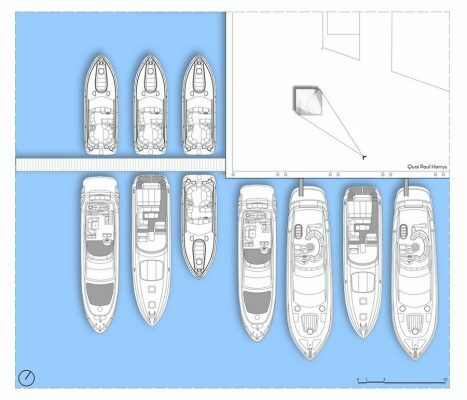 The contours of the panels composing the installation reinterpret the city panorama by recycling the organic shapes of the buildings of the architect Jean Balladur and the boats surrounding the quay. 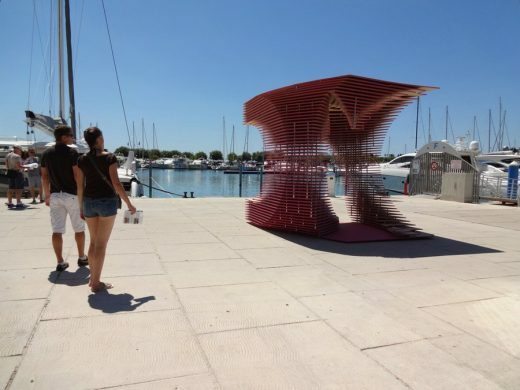 Its fluctuant shapes, modeled and sculpted as if carved by wind erosion, allow to stroll through, shelter under or sit on. 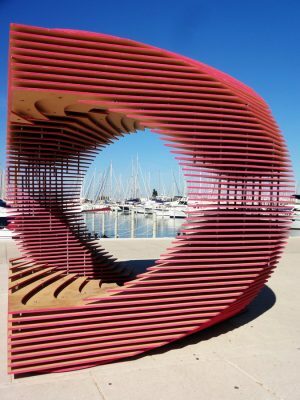 A confortable urban element that invites to discover unexpected optical illusions at the rhythm the spectator tread around. 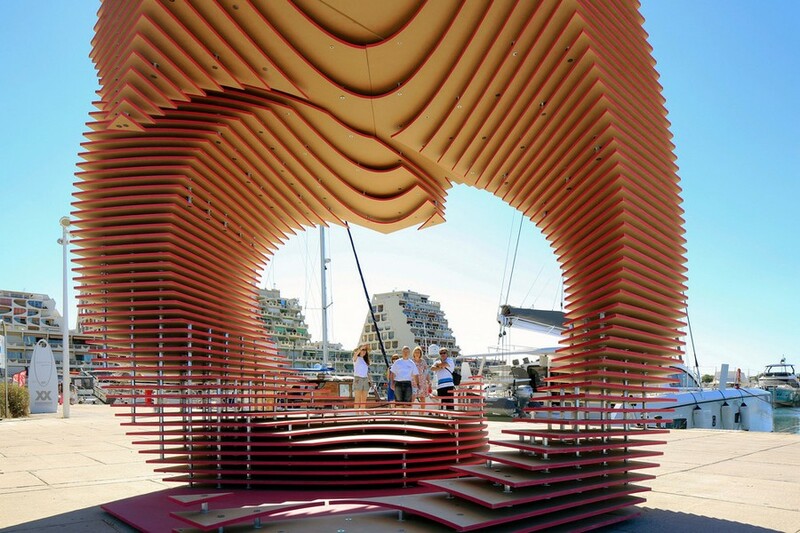 The volume of the pavilion, inscribed in a cube whose side is 3 meters occupying a footprint of 9 m2, is made of 120 MDF boards. 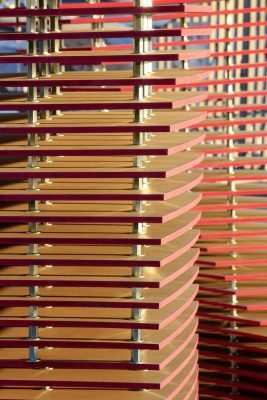 Since cutting boards the edges loose the protective film, paint is applied to protect the weakened surface. 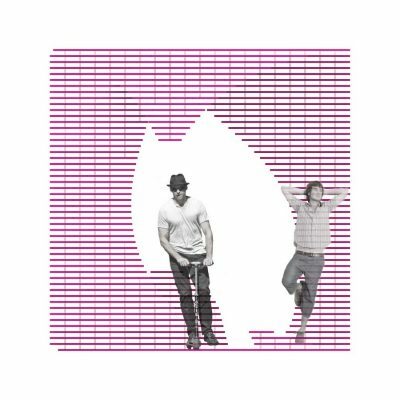 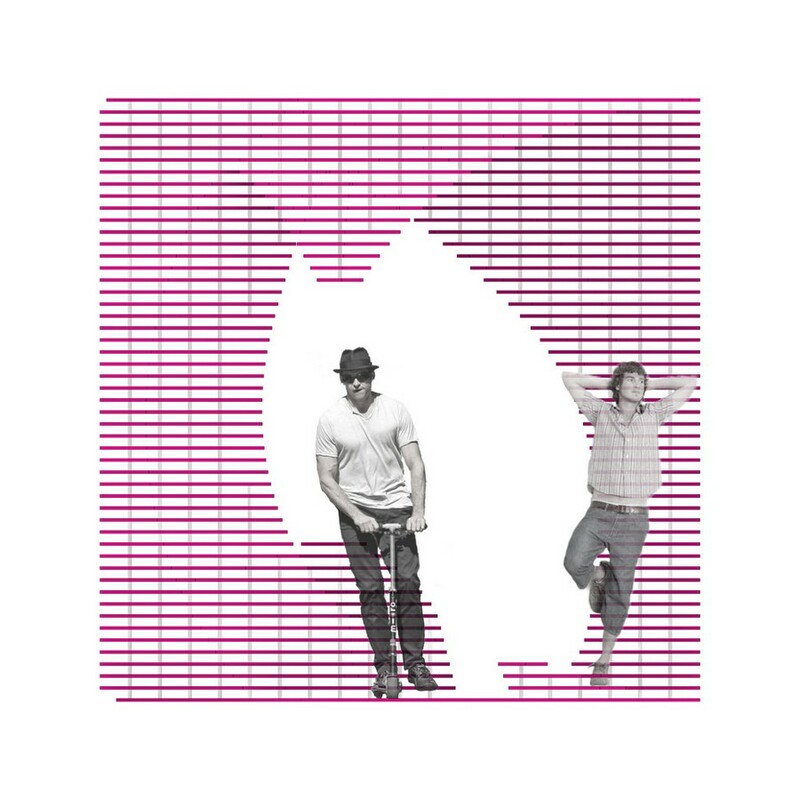 The pink colour is homage to the FAV. 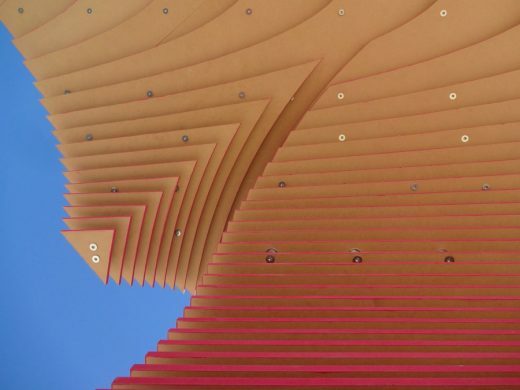 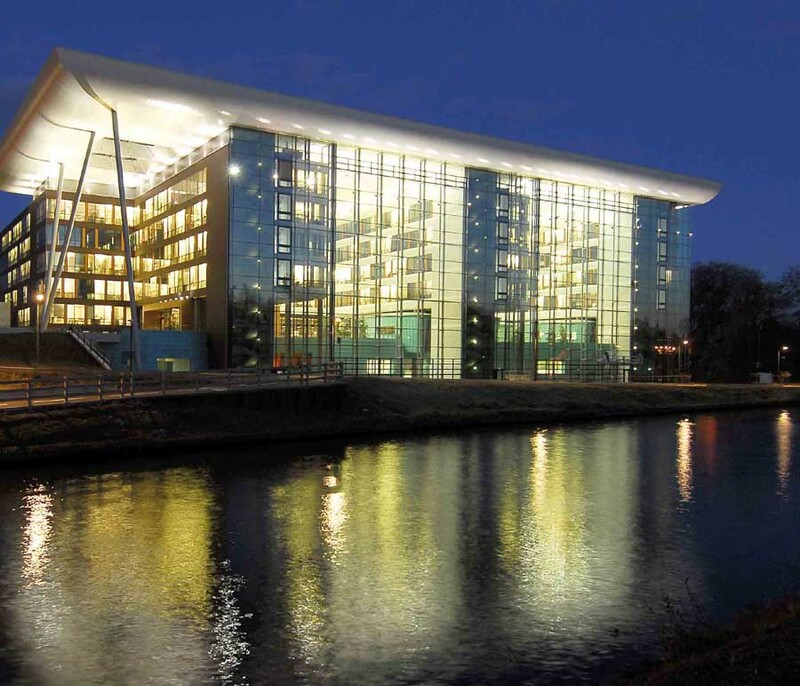 Ethereal appearance is accomplished by creating gaps between the boards and disposing the vertical structure in an angular grid that allows to see the minimal number of metallic pieces from the specific vantage point of view. 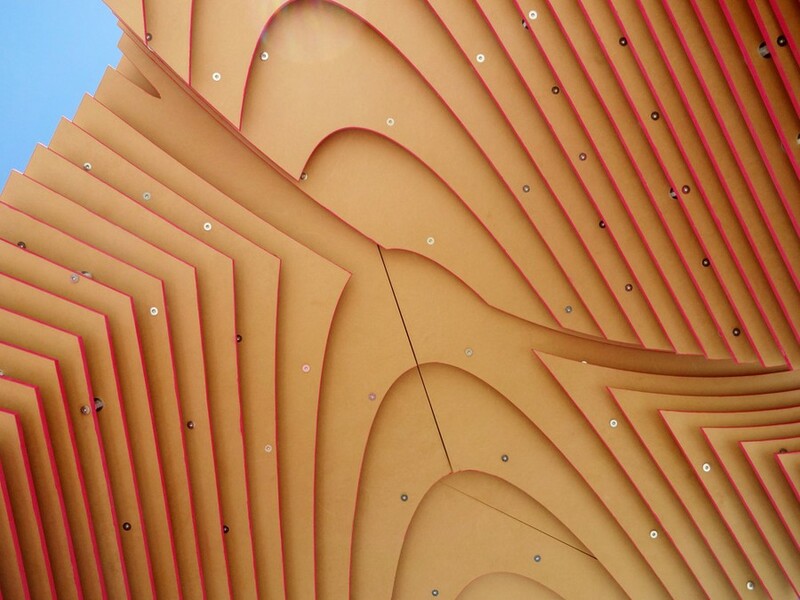 Layers are then mounted one on another using 1500 metallic screws between them. 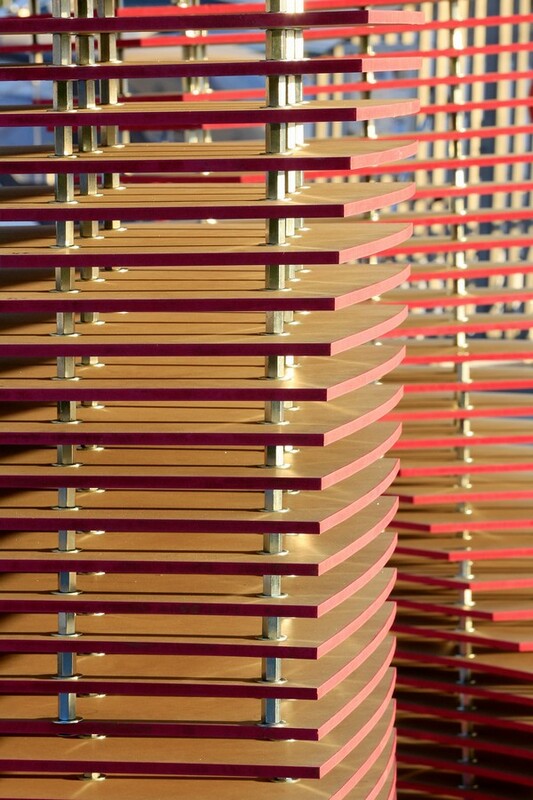 Metallic structure support, join and separate the wood panels. The MDF boards have holes that let insert the vertical structure and screws are screwed into each other to create a single structure: stable and supportive. 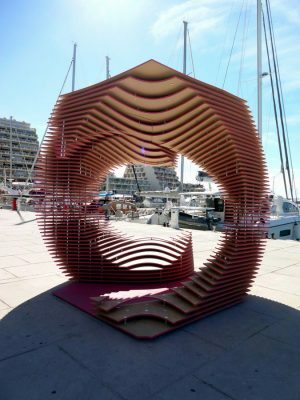 The screws and the boards work together transmitting loads from one to another so the pavilion becomes a single object resting on the floor of the port. 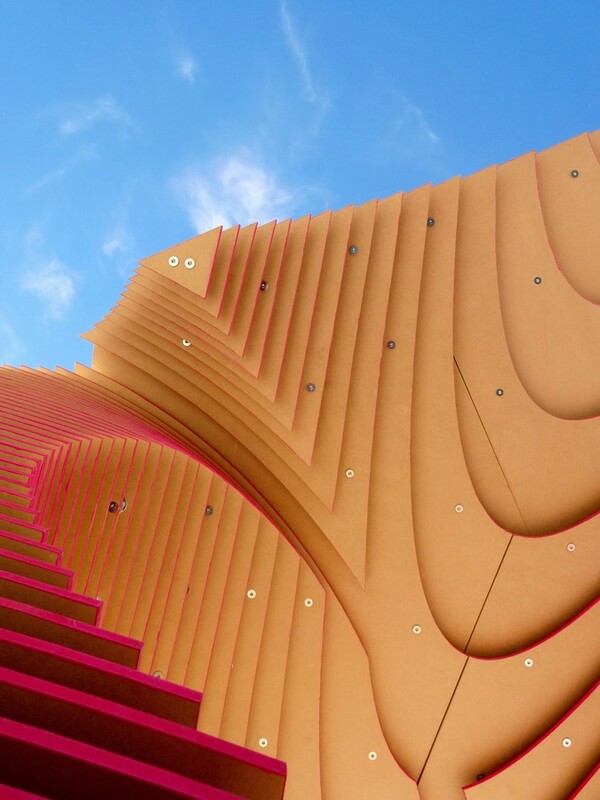 Moreover, the particular conformation of the pavilion follows the passage of the wind and does not generate vertical surfaces of contrast. The PortHole therefore provides an experience completely devoted to the pleasure given by contemplating the landscape while enjoying the coastal breeze and lulled by the waves, the pavilion waves. 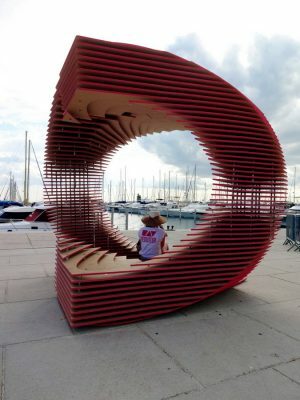 A place that suggests to slow, interact and confer yourself a moment of reflection bound to last a long time, beyond the ephemeral.